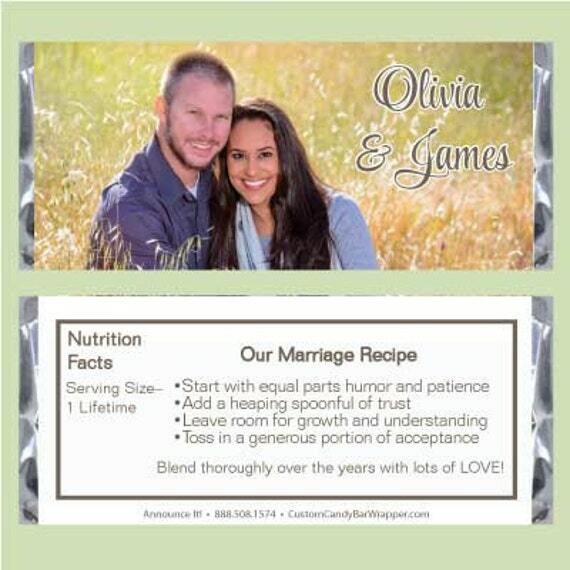 Photos Wedding Candy Bar Wrappers - This listing is for candy wrapper party favors for a standard Hershey bar 1.55 oz. Wrapping instructions with pictures are included. If you can wrap a birthday present, you can wrap a candy bar. It is very easy.